You may have heard that Berlin is one of THE best startup hubs in the world. In fact, a new startup is founded every 20 minutes here, incredible. The city is also home to many freelancers and creatives, attracting artists and writers from all over the world. In a city where everything is possible, a place where these bright minds can create, grow and make connections is crucial. 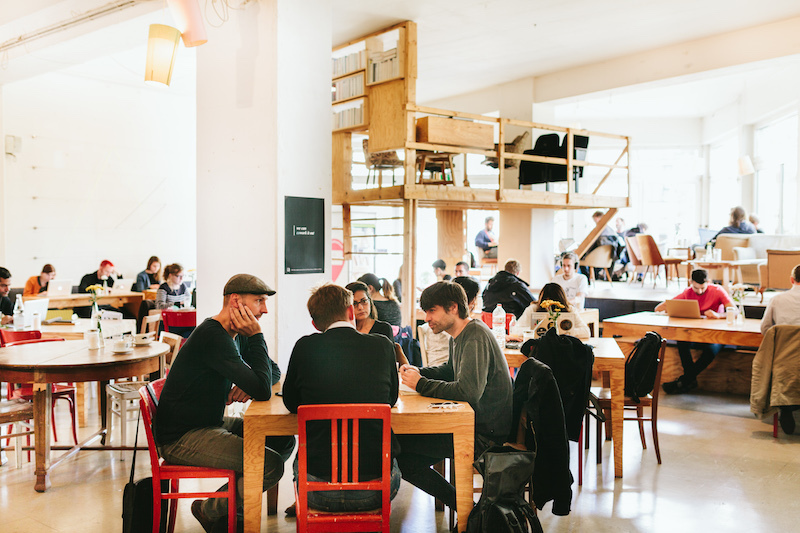 Luckily, Berlin has got them covered with its huge range of co-working spaces. We’ve written about 5 that we’ve experienced for ourselves – maybe it’ll help you on your quest to find your new home from home! 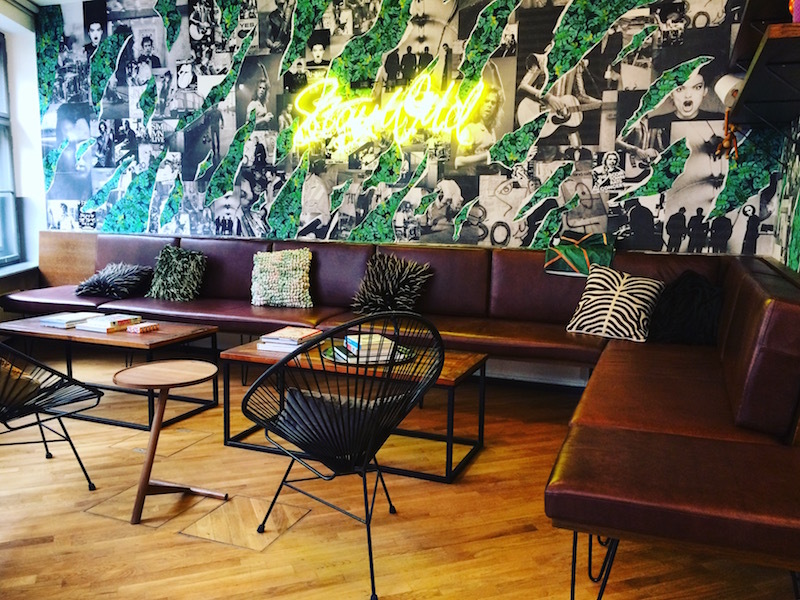 Here are (in our humble opinion) the best co-working spaces in Berlin! Factory prefer to be known as a ‘business club’ rather than your typical co-working space and its large, industrial style campus is every inch as cool as you’d imagine. Located not far from the Berlin Wall Memorial, this huge complex hosts a very active community of freelancers, influencers, startups and also established corporations including some very big names under its roof, such as SoundCloud, Techstars and Deutsche Bank. Members can take a coffee break with an investor in the morning, have a bite to eat with a potential co-founder at lunchtime and enjoy a game of ping pong with a CEO in the afternoon. Factory encourage people to connect, collaborate and learn from one another through their regular in-house events, community areas and Slack channel. Membership currently costs €50 per month and includes access to exclusive members-only events (including Fireside Chats, Hackathons and Meetups), use of their desks and facilities (including meeting rooms and community kitchen) and also the possibility to host your own event or workshop in one of their large, open-plan spaces. You’ll also get the opportunity to attend special ‘office hours’ with industry experts, community brunches and workshops. 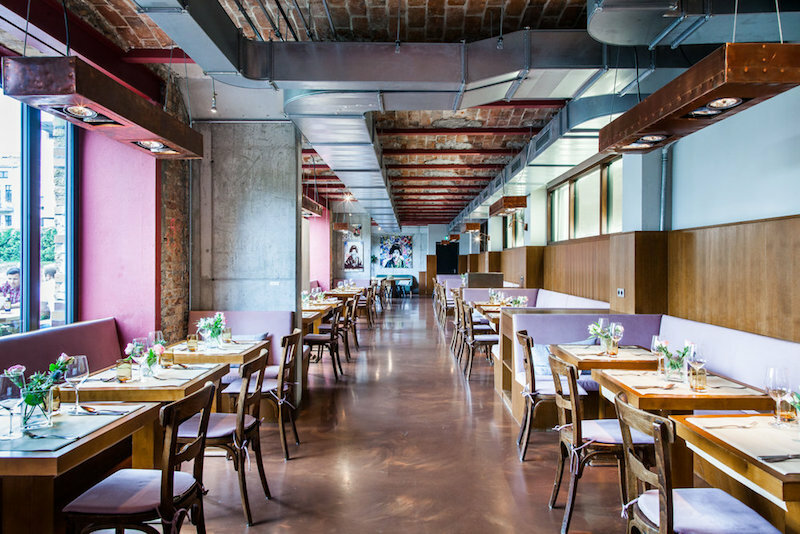 Members can also take advantage of the Factory Kitchen and get a discount on its tasty dishes. The menu changes daily with options for breakfast, lunch and dessert, and the walls are adorned with exhibitions from local artists that are also changing frequently. Factory is a great space to connect with others and be involved in a creative, innovative network. The membership fee is a very reasonable €50 a month and you’ll be privy to some fantastic events with amazing speakers. The space can sometimes get very crowded, however the community area has now expanded out over two floors and they’ll soon be opening new premises in Kreuzberg which is set to be even bigger – stay tuned. WeWork is an American company with offices worldwide in over 20 countries, providing workspaces for entrepreneurs, startups, freelancers and small businesses. Members include: Microsoft, Pinterest and Spotify. The two spaces in Berlin (Hackescher Markt and Sony Center) are bright, buzzing and beautiful with a real focus on providing quality working areas with unique styles. As well as offering a comfortable community environment to work in, there are also offices to hire for larger teams and meeting spaces featuring some of the most colourful wallpaper we’ve ever seen. They also host a range of events – from cheese tasting to awards ceremonies, offer great facilities and a really helpful team of staff that are there for whatever needs you have. There are different pricing options depending on your needs, so check here for an overview of the different costs at each location. You’ll see 4 places there – that’s because they’re opening two new locations, one in Ku’damm and a second spot in Potsdamer Platz. There are weekly events including office hours with VC’s, financial advisors and experts from a wide range of fields, karaoke and cocktail nights so you can get to know your WeWork community a little better and panel discussions from CEO’s and other industry pro’s. There’s also some lovely Meetups to widen your network and on Monday there’s even a free breakfast to get your week off to a good start. 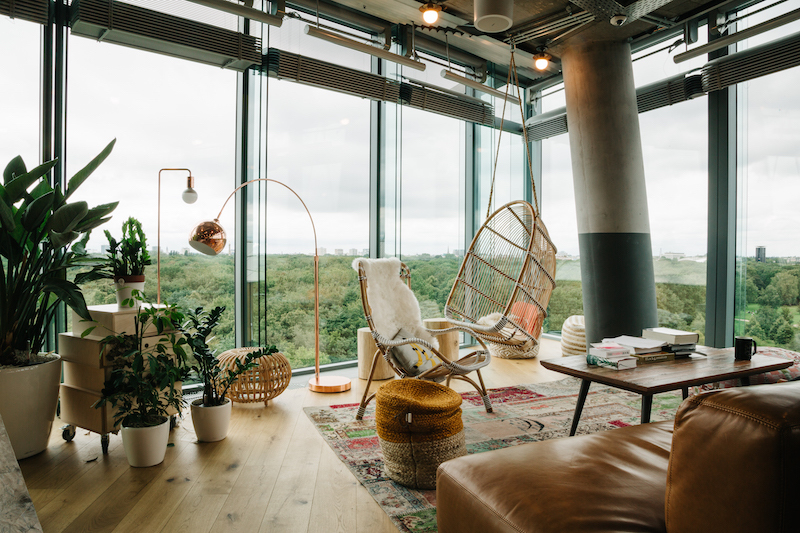 WeWork will get your creative juices flowing with its gorgeous spaces – the views from the Sony Center office are worth the trip alone. Prices are pretty steep if you’re working solo, though the awesome facilities and helpful staff are above average. Mindspace is centrally located in Berlin’s Mitte area, with other offices in top locations such as London, Hamburg, Munich, Tel Aviv and Warsaw. Its community is international and innovative made up of entrepreneurs, early-stage startups and small businesses and also has partnerships with some big names, including Facebook, Microsoft BizSpark and MoBerries. It has a very homey atmosphere and style, with clear-glass doors throughout to make the space appear very open. When community members are not working hard, they can also treat themselves to massages and other treatments, as well as enjoy lectures, workshops and a thriving social community. Prices vary depending on your needs, so check to find the best option for you or your business. Members can choose between a basic Mindspace membership, open work spaces or private offices. There’s also access to well-equipped meeting rooms, a coffee bar, the opportunity to host your own events and attend useful workshops. There’s a real emphasis on the Mindspace community to swap ideas, network and be exposed to opportunities from other members in the beautifully designed workspaces and communal areas. Central and stylish, Mindspace is a great place to grow your network and work in comfort. They’ve also uploaded their own mixtape for you to listen to as you work hard. And if all that wasn’t enough, there are two new spaces opening, a second Mitte location and one in Kreuzberg! It’s a good option if you want somewhere in the centre with easy access, and the basic membership comes at a good price. betahaus is a bright and cheerful coworking space in Kreuzberg, spread out over 5 large floors with other locations also in Hamburg, Sofia and Barcelona. It has a laid-back vibe, though that doesn’t mean its members aren’t working hard! This is the perfect place for those that want to work on their own projects whilst sharing ideas, knowledge and inspiration with others in an informal setting. The community consists of entrepreneurs, startups, freelancers, and creatives. Members get access to exciting events, office hours and some interesting groups including Tupperware Tuesday and a running club. The event spaces have hosted some well-known names such as Deutsche Bahn, Google, SAP, Greenpeace and Zalando. The community in Berlin currently consists of over 500 members and growing! With different pricing options on offer, it’s best to take a look and see which one suits your circumstances. There’s always something to do at betahaus, with around 3 events per week on offer you’re sure to find an interesting experience to go to that’ll connect you with your peers or support your development. Types of event include: hackathons, seminars, movie screenings and product testings to name but a few. There’s also a lovely café where you can find a wide selection of things to eat and drink, a campus library and even a wood workshop! You can take your pick of places to whip out your laptop from the coworking areas, community space, team rooms and meeting rooms. betahaus also offer a variety of learning programs via their academy which is quite a unique feature, so make sure you keep checking the site in case there’s something for you. The costs are also quite reasonable, considering the amount of different facilities they have on offer. 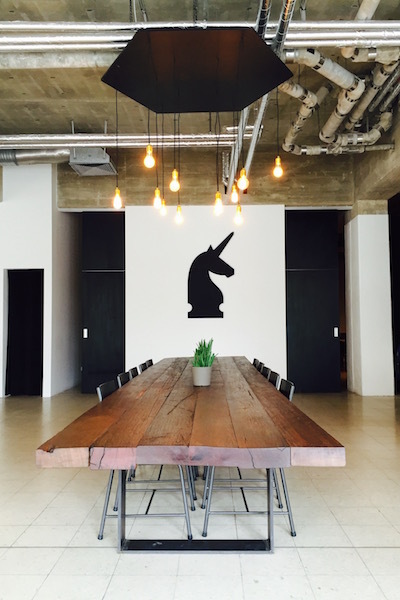 Unicorn is a unique concept of high-end coworking/event space/café in one. With it’s light, minimal design it’s a comfortable place to work or dine with fellow guests. Members include entrepreneurs, freelancers and startups. The café is specific to the Mitte location, focusing on serving eco-friendly and health conscious food to its customers, while the Brunnenviertal location serves as an event space to cater for up to 200 people with top-notch technical equipment. Members can also enjoy special events including yoga, language exchanges and meetups and both are wonderful places to go to meet like-minded colleagues. The prices vary depending on length of time and what you need, so make sure you find the best deal for you. Let’s look at each location in more detail: the space at Mitte can be used for coworking, small meetups, presentations or any kind of intimate event for up to 70 people. Each desk is equipped with a bright reading light and sockets for your electronic equipment, to make work as easy as possible. The café works with local and seasonal ingredients, with the customers health in mind. Food can also be taken away or provided for catered events. 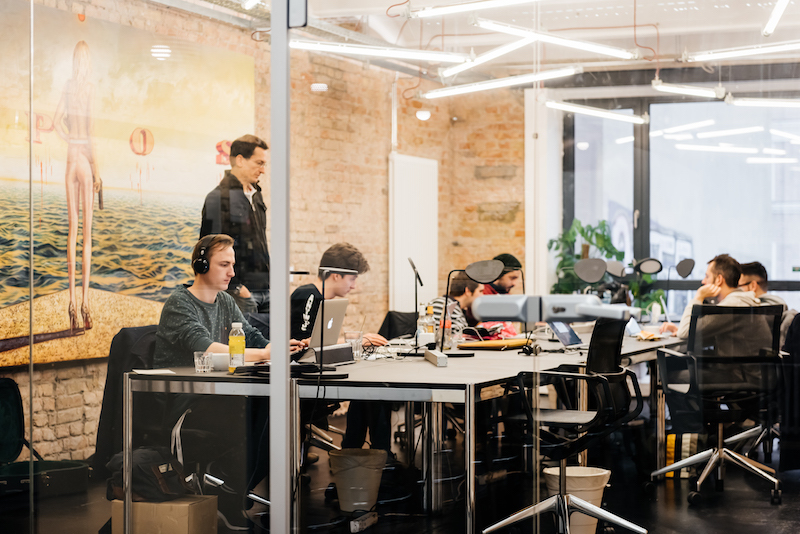 The Brunnenviertel location also provides coworking space and meeting rooms and is used for much larger events (up to 200 people), providing guests with everything they’ll need such as projectors, mics, speakers and other technical equipment. They also offer catering if needed. If you’re looking for a central event location with a number of spacious rooms and a catering service then Unicorn is what you need. They really do have it all, even their own merch. If you’re looking for a high-end workspace then this is the one for you. Their space in Brunnenviertel was also selected as one of the Top Locations 2017 by eventsofa! Have you had a different experience at any of these locations, or know of any other coworking spaces you can recommend? Let us know! Thank you. We will check it out in the future! 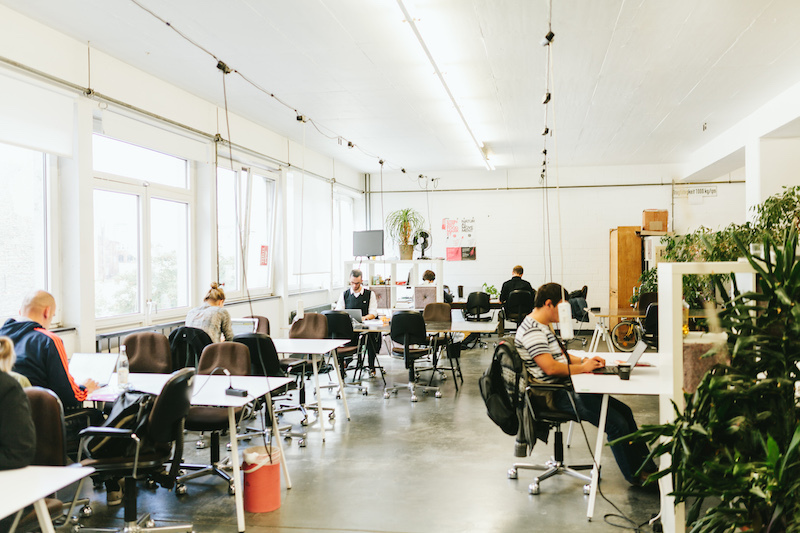 Factory Berlin, Mindspace, and WeWork are not really coworking spaces. You can see them a serviced-office clubs and that’s a totally different thing. If you visit a WeWork or Mindspace and then go to betahaus or St. Oberholz, you will know what I mean. Best thing is to visit two or three (real) coworking spaces to get a better impression of what they are like and how do you see them. Nearly every coworking space is quite cool, but not every coworking space is something for yourself. 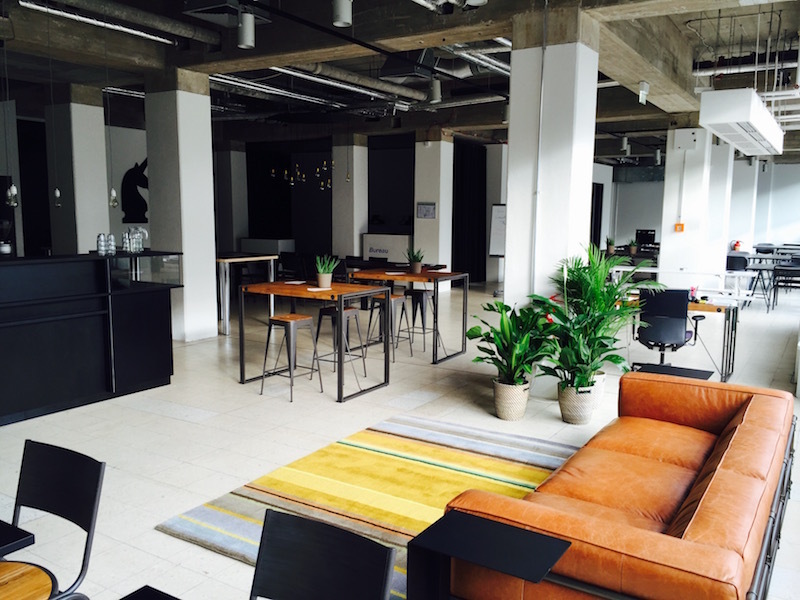 Flex offices spaces in the heart of Kreuzberg available for short workshop, events and last minute meeting rooms! Thanks for the suggestion. We will check it out in the future. Cheers!